Take the small strip and fold it in half, inside out. Fold the small strip in half along the 8 inch side. This is your handle. Stitch this up the side, then flip it right side out. Next, stitch two lines, about an inch from each side along the length of the handle for reinforcement. Measure the width of your round pillow form and add ½” to your measurement so you can have a ¼” seam allowance all the way around the edge. 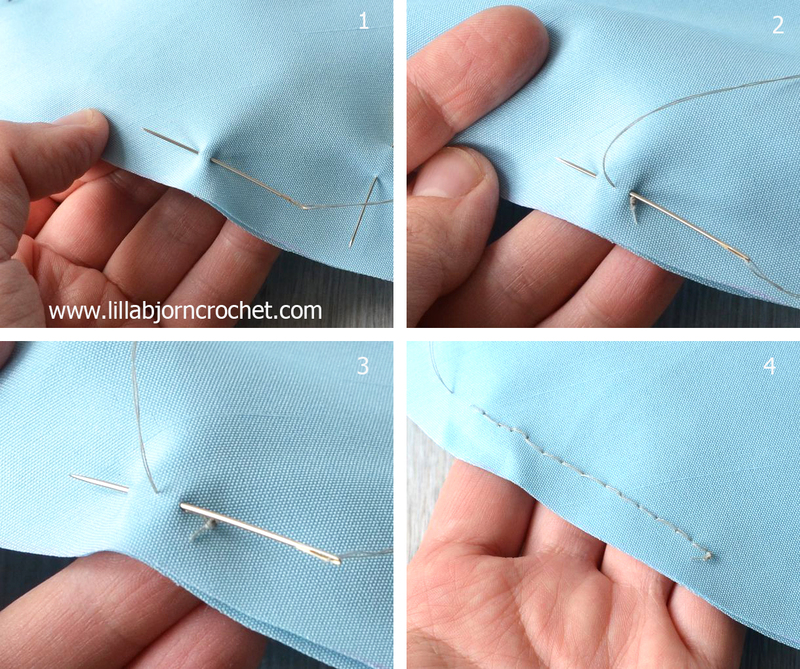 Make a paper template circle for your pillow from your craft paper. Trace your paper circle onto the backside of your fabric and cut it out. This is the front of your pillow.